Alexander Wang shoes inspired by the spirit of creative reuse. Style revisited, interrupted, recontextualized. 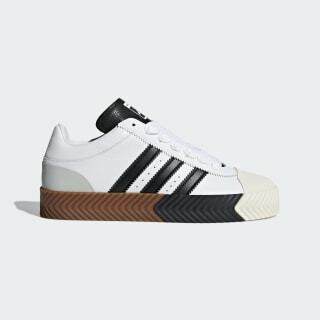 These adidas Originals by Alexander Wang shoes blend design cues from the adidas archives with modern and unexpected elements. 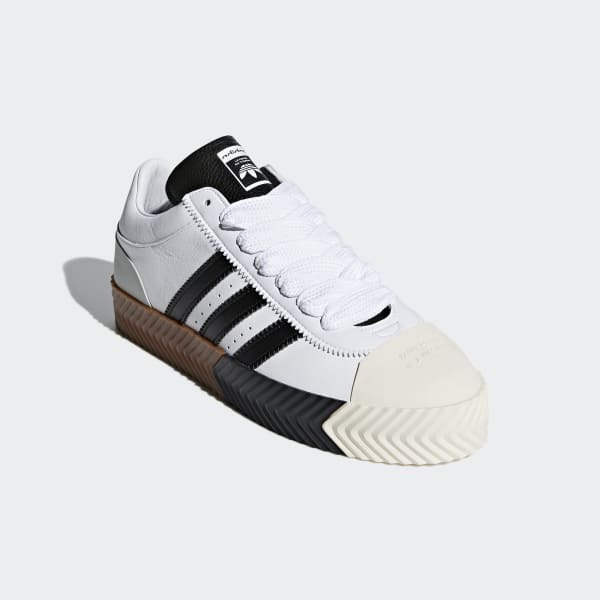 They feature a leather upper inspired by adidas Superstar trainers. The textured outsole is borrowed from season one of adidas Originals by Alexander Wang. An inside-out shell toe subverts adidas Originals heritage.